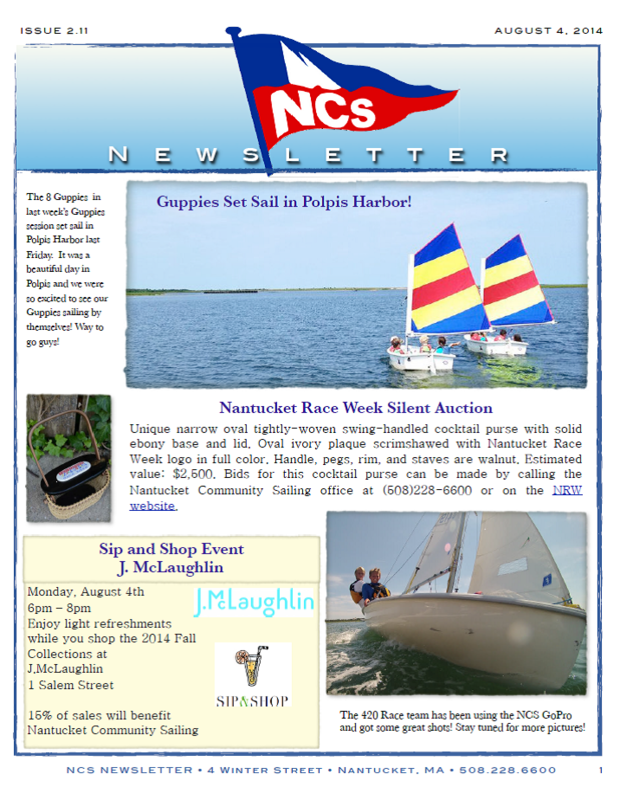 The August 4th NCS Newsletter is in! Guppies Set Sail in Polpis Harbor! J. McLaughlin Sip & Shop - TONIGHT 6-8pm!